Nahum Babka cake laced with chocolate. Yummy. Ethnic bakeries are not so common around Ocean Grove except for some exceptional Italian bakeries. 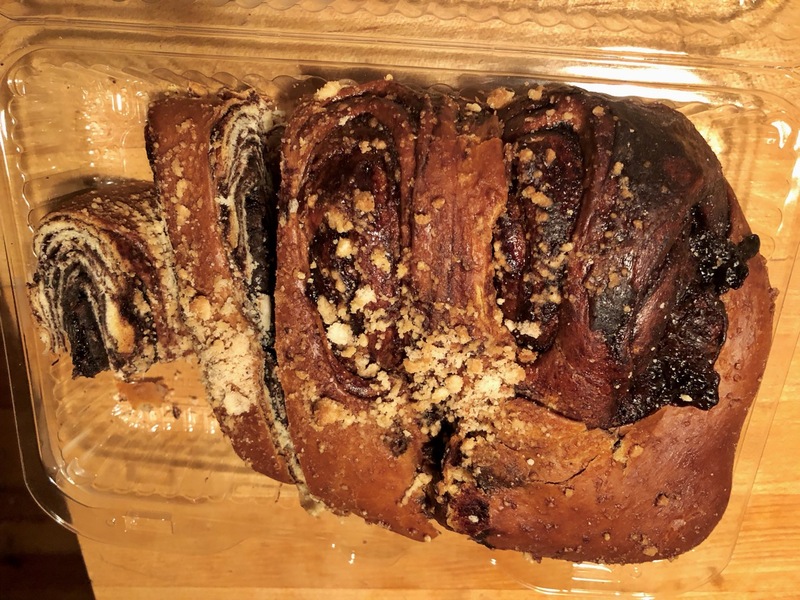 But there is a well kept secret in Deal where an amazing kosher bakery produces authentic items including their famous challah breads (for holidays and the Sabbath,) rugelach, cookies, nut chocolate crunches, chocolate babkas, amazing salads and many other delicious items stemming from the Sephardic (Middle Eastern/Syrian, Spanish) and Ashkenazi (Eastern Europe–Poland, Russia, etc) traditions. Sometimes they have other items like pizza and baklava. You have to go over there and see what’s what. Go on a Friday morning for wonderful choices. (Friday night begins Shabbat—the Sabbath). If someone there says, “Shabbat shalom” to you, (Sabbath of peace) just say “Shabbat shalom” back to them. The bakery is down sort of an alley. The address is 268 Norwood Avenue, but when you come down Norwood, just turn left immediately after Coco Pari, the fashionable ladies clothing shop. Nahum is on the left side of the narrow roadway. There is parking. It’s fascinating to visit, and you can see into the back where the large scale baking operation goes on. Trucks come by to pick up items for restaurants and other food shops. You can hear Hebrew spoken there. 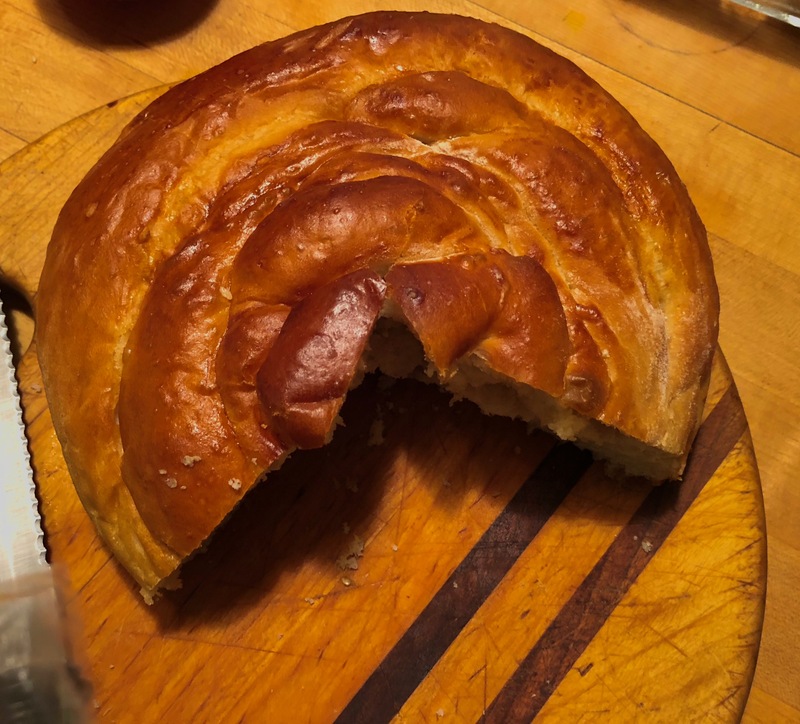 Thanks for sharing about this…I lived in Israel for a year and love the kosher bakeries and hearing Hebrew spoken. I will put this business on my list for next summer when we’re back at the tent! I discovered Nahum Bakery in Deal…just in time for me to have stopped eating flour and sugar. Very very sad. It was the best coffee cake I’d ever had.